Most people use their car every day without a second thought. They will get in, turn the key, and head out on their way. It’s almost always the case, unless you are a car person, that you don’t think something is in need of repair till a light shines or a weird noise starts to occur. Afterall keeping up with a vehicle requires some amount of attention. But what if you could minimize the likelihood of an expensive repair, by doing only simple maintenance items? 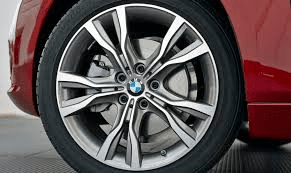 In this post, we will look at simple car maintenance items you can do that will potentially save you from experiencing a catastrophic event or costly BMW car repair. Tires are the essential features of your vehicle. They are what makes contact with the ground. Having good tires versus a bad one can make a huge difference. Have you ever experienced a tire blow out, or know someone that has? At high speeds having a tire, blow can be incredibly dangerous. It can also do much more damages than just having a flat tire. Almost all tire blowouts can be avoided by simply checking your tires periodically, and having them replaced when needed. A good rule of thumb is to inspect your tires every month for wear, tread, and that they are correctly inflated. The tire sidewall will tell you the max psi they should be filled to. Overinflating can be just as bad as under, so it is best to stay a little below the max. Check for signs damage to the tires as well; if anything looks suspicious, you can take it to our German auto repair shop. There is no way of avoiding the topic of engine oil when talking about the maintenance of a vehicle. It is the fluid that keeps everything in your engine working the way it should. Oil reduces friction of the metal movable parts within, and it an absolute must. Checking the oil isn’t as tricky as it sounds. Most vehicles are equipped with dipsticks that are labeled check oil on them. In fact, the dipstick will also have at the end clues as to if you are low on oil, clearly marked, low. If there is one maintenance item you should routinely do, and be in the habit of doing is checking the oil levels. If you find that your car is consistently low on oil, it could signal a leak or possibly other issues within the motor. Lastly, make sure to maintain adequate coolant in your vehicle’s cooling system. Each car requires a different type of coolant. 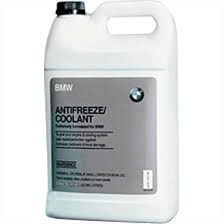 BMW recommends the use of their own specially formulated coolant for their vehicles to run at their best. TIP: Use caution when checking your coolant levels. Never try to open the radiator cap if your car has been running and reached it’s operating temperature. In doing so can cause injury. The coolant is a pressurized system. When it is hot, pressure builds, the second you turn the cap it will spray out. At close to 200 degrees, this is something you don’t want touching your skin. Instead, wait until your car has had time cool down or even better let it rest overnight and check before starting it in the morning. Maintaining a good running vehicle is as simple as checking its primary components. These simple car tasks only take a few minutes and are well worth the time. Many repairs, breakdowns, or troubles can be avoided with proper care.